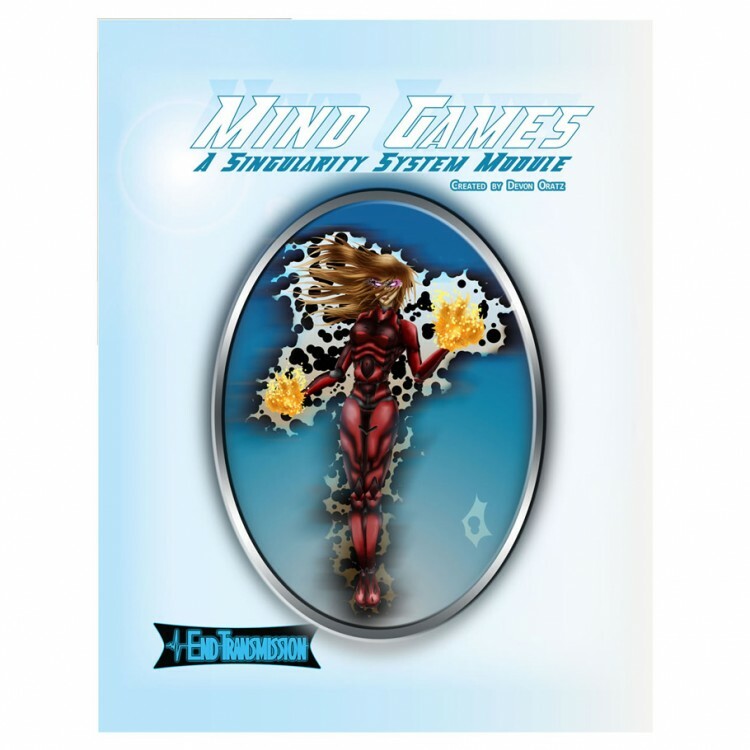 The Mind Games Singularity System Module Includes: Rules for psionic powers in the Singularity System - 50 unique Psionic Talents; new Skills, Perks and Weaknesses to enhance your Singularity campaign; psionic-powered weapons, items, and implants. This game uses a streamlined, fast-generating, extremely customizable, proprietary d6 system (the titular Singularity System) with dice pools. The system has been built from the ground up to serve not the setting, but the genre of far-future science fiction adventure. It includes starship and vehicle combat rules that have enough depth to be a war-game in-and-of themselves, but simple enough to learn in an evening.